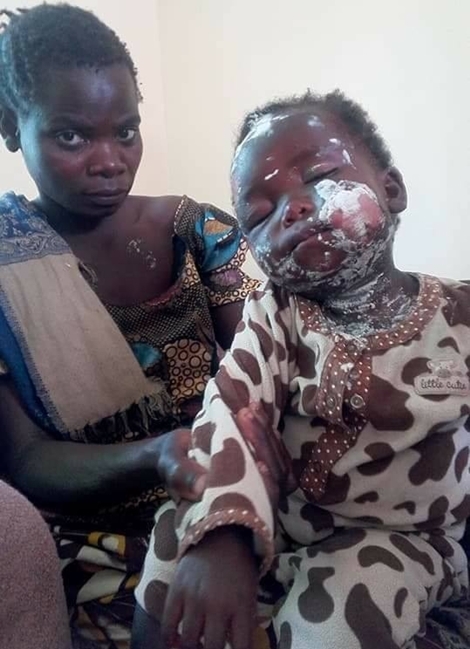 A one-year old baby is currently battling for her dear life after a heartless landlady poured hot porridge on her during a clash with the baby's mother over unpaid house rent on Monday at around 6pm. The little baby's mother owed the landlady K50 Zambian currency which equals N1800. It is her two months' rent - February and March 2018. 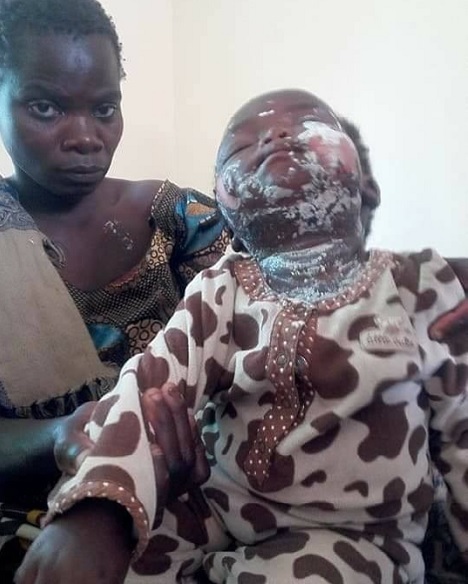 It was gathered that the land lady who is a teacher and famously known as Bana Paul started throwing things out of the house in the late evening yesterday and later got a hot pot which was burning on the brazier and poured it on the baby who was being held by the father. The baby's father said he is saddened that such inhuman behaviour could be shown on him by the landlady over a house rent, and has since called for local authorities to intervene in the matter so as to see justice prevails.